Larry Kelley has been involved in Real Estate for more than 45 years. Mr. Kelley is an active real estate developer and investor with properties throughout Northern California. He and his team are the owners and developers of McClellan Park and the downtown Railyards, two of the region’s most impactful developments. Kelley and his team developed the vision for McClellan Park and proceeded to execute an adaptive reuse plan and created a job-generating industrial park. McClellan Park is one of the most successful military base conversions in the United States with over 8.5 million square feet of commercial space upon 3,000 acres. The Railyards located in downtown Sacramento is a 200 acre, 6,000-unit infill project with 5 million square feet of office of commercial space, including a new Kaiser Hospital. It is also being planned for a new Major League Soccer stadium. In addition to McClellan Business Park and the Railyards, Mr. Kelley was the developer of Stanford Ranch, a 4,000 acre master planned development in Rocklin California. Other properties in the region include apartments and industrial buildings. New developments include senior housing, apartments and industrial buildings. 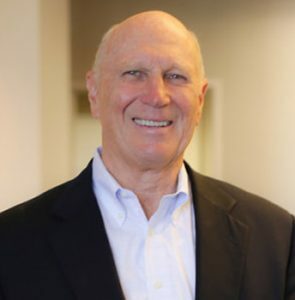 He is currently active in numerous charities and associations, including the National Association of Industrial and Office Parks, member of ACRE, Association of Commercial Real Estate, member of Advisory Board of U.S. Bank, member of Board of Directors of the Aerospace Museum of California, Past chairman of the Sacramento Council of the Urban Land Institute, Past President of North State Building Industry Association, Past Director of the Placer Counties Child Abuse Prevention Council and an investor in the Sacramento Kings.